You can't escape fate. Elliot Saganash and Tammy McPhee are special. Descendants of shamans and trained in mysticism, they are the hope of the future for their guardians, the Elders. But neither Elliot nor Tammy wants any part in what they see as hokey nonsense. When Elliot decides to return to Manitoba to attend college, Tammy feels abandoned by the one person who had always been there for her. She runs away from the Elders rather than be left alone with them in the creepy old place they call home. But tragedy brings both teens back to the place they abandoned, and they soon discover that what they thought were silly old beliefs were actually real all along. While Elliot struggles with his identity and the uncomfortable realization he might have been wrong to dismiss his destiny, Tammy struggles with her own identity and the challenges facing any young woman. Before long, they realize that they must learn to use the magic they scorned if they are to have any hope of surviving the ancient powers that want them dead. 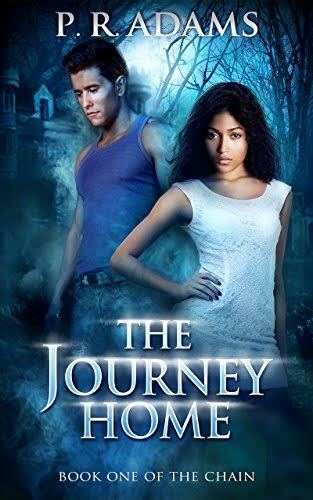 Buy The Journey Home today, and begin this thrilling urban fantasy series full of action and suspense.